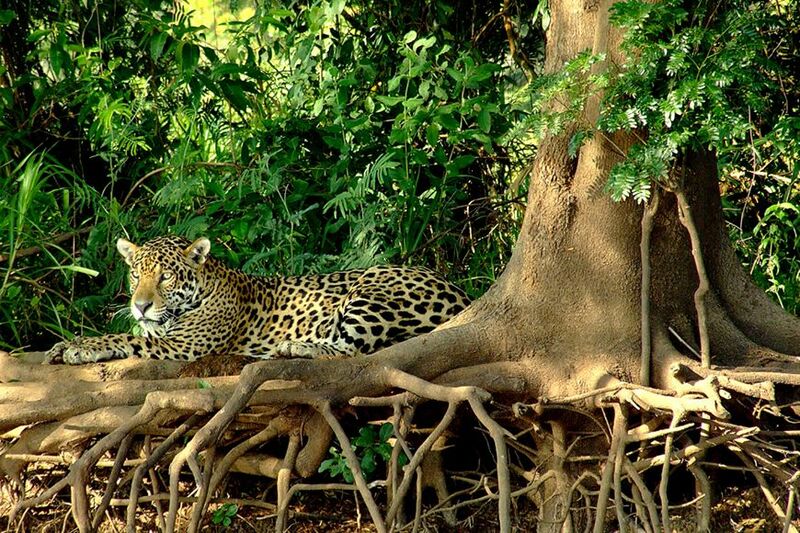 The Pantanal region of Brazil is internationally renowned as a wildlife paradise: one of the largest Biosphere reserves on the planet, with the greatest concentration of fauna in the New World. 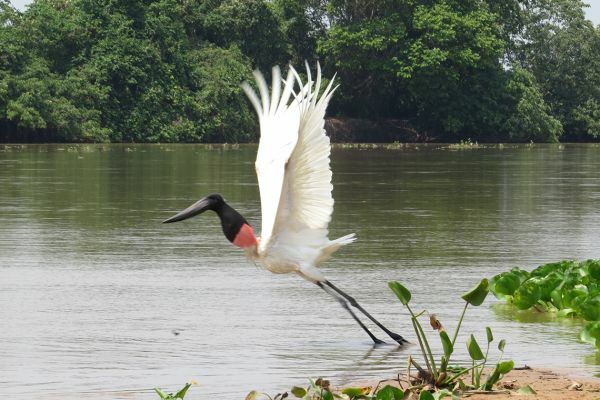 On foot, in 4WDs and by boat, we explore a rich diversity of habitats, in search of giant otters, anteaters, jaguars, caiman, parrots, humming birds and the huge jabiru stork, all more readily seen on the open cerrado than in the Amazon jungles. 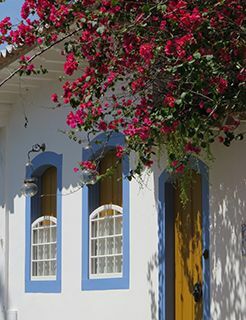 We discover the historic Gold Trail, seeing the 17th century colonial architecture of Paraty, now a World Heritage site, on the coast; walk in stunning mountain scenery in the Chapada dos Guimarães; enjoy a schooner trip along the idyllic Costa Verde and, as a particular highlight, visit Iguassu Falls, one of the seven natural wonders of the world. After meeting at Cuiabá airport in the late morning, we transfer 800 m up into the National Park of the Chapada dos Guimarães and settle into our comfortable eco-lodge. A short afternoon walk takes us to a marvellous viewpoint over the forest and canyons of the Park. In the evening, we may try a chilled caipirinha, the national drink of sugar cane spirit and fresh lime juice, before a dinner of typical rural Brazilian dishes cooked on a woodfired stove. 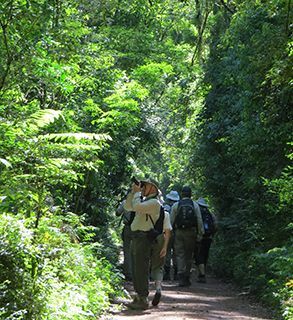 We follow walking trails on the Chapada, an immense geological formation comprising low peaks, canyons and grottoes. 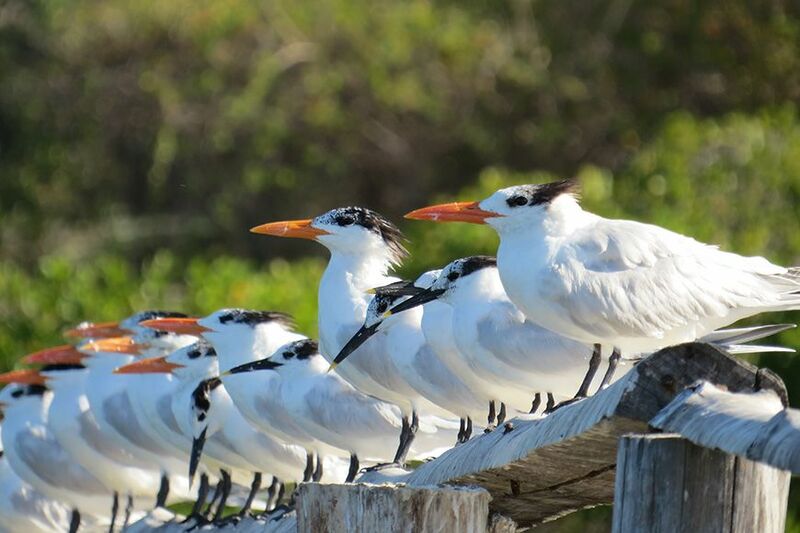 We see waterfalls, wind-sculpted rock formations, archaeological sites, wildflowers and butterflies on the savannah and wildlife, including eagles, caracaras and possibly the rare maned wolf. Returning to the lodge, we have time to relax in the pool or in a hammock, enjoying the peaceful rural setting and the many hummingbirds and tanagers in the garden. 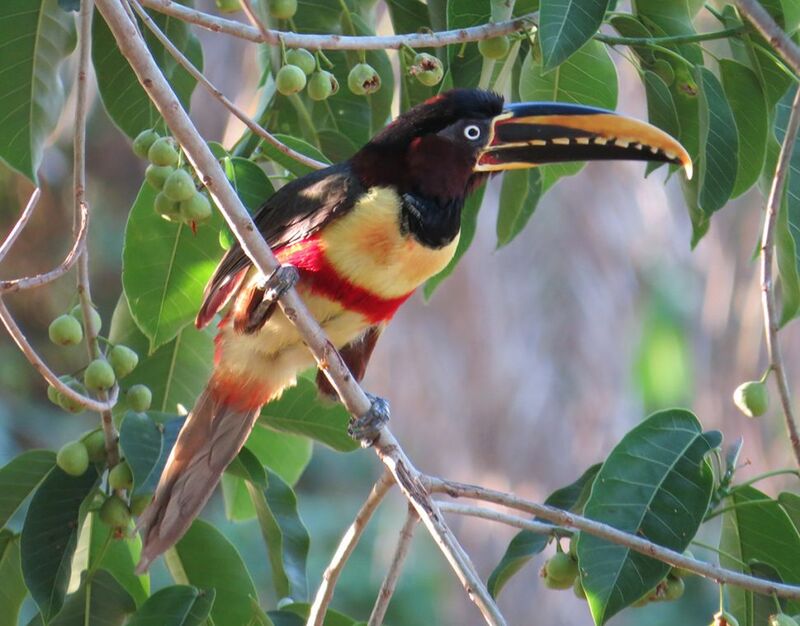 Descending to Cuiabá, we meet our specialist naturalist guide and begin a full day photo-safari into the Pantanal, following the partly paved/partly dirt road, the 147 km Transpantaneira, which finishes at our comfortable riverside hotel in Porto Jofre. 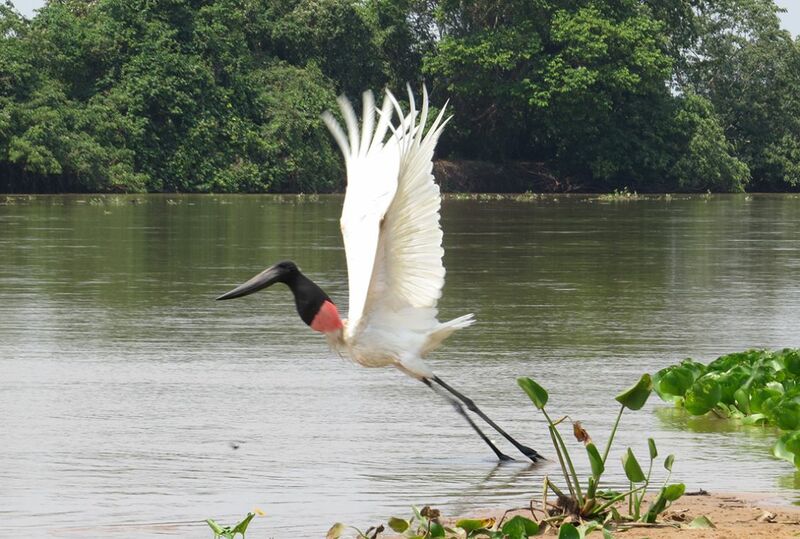 Roadside pools have green and buff-necked ibis, great and snowy egrets, jacanas and jabiru storks. Ringed, Amazon and green kingfishers hunt from the telephone wires. 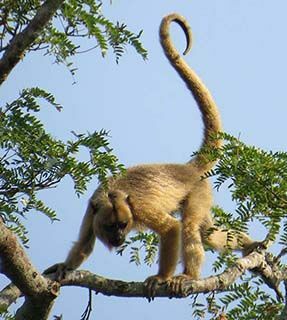 Plumbeous kites and black-collared hawks patrol above the savannah and we encounter our first capybara. Just after dawn, we set off by boat along the Cuiaba river, in the heart of jaguar territory, alert for a sighting of a jaguar stalking caiman, their favoured prey, on the riverbank. 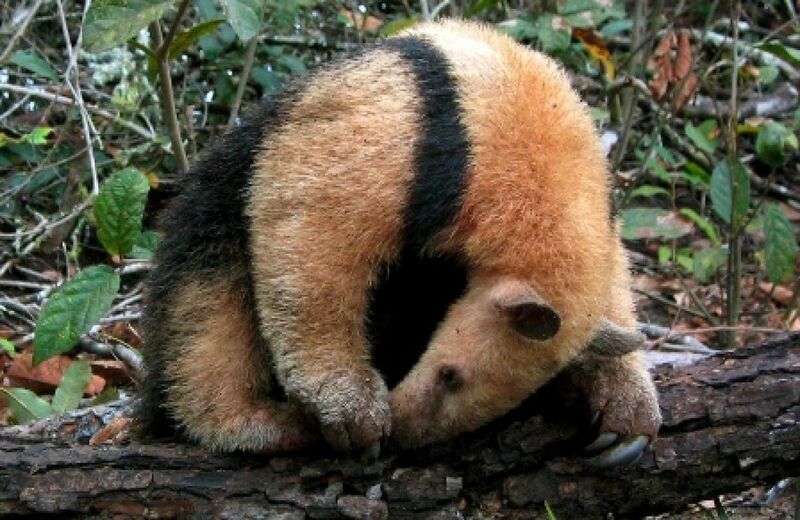 We hope to see giant otters, black howler monkeys and possibly South American tapirs. The birdwatching is excellent: skimmers, bare-faced curassows, sunbitterns and pied lapwings. Returning in the late afternoon to our hotel, we can enjoy the pool before dinner. 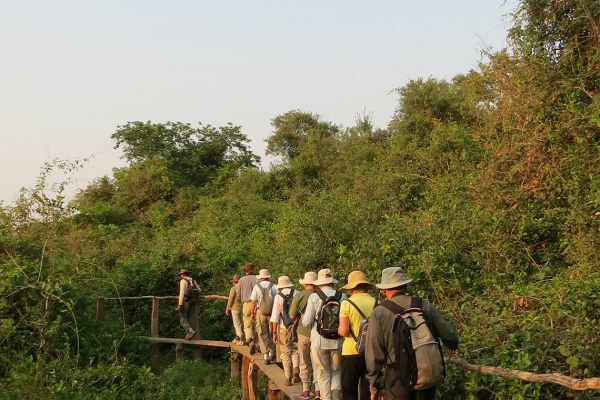 To maximise our chances of seeing jaguar, we again set off very early by boat, then have a slow game viewing drive back north on the Transpantaneira, with a picnic en route. 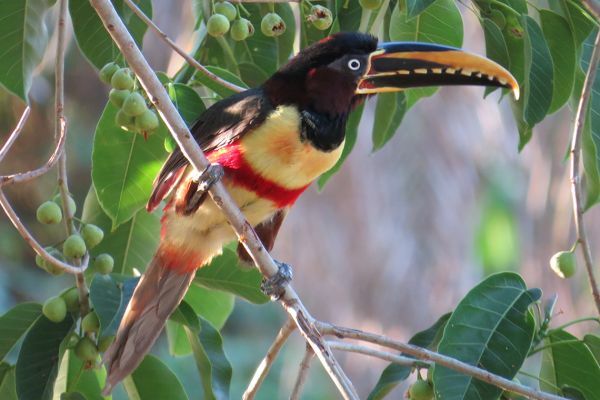 We reach our acclaimed eco-lodge in time for tea and enjoy a guided walk through the surrounding area to a 12 m observation tower to see toucans and macaws coming in to roost and a spectacular view of the evening sky over the savannah. 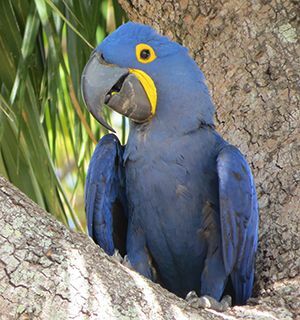 A full day is dedicated to observing the Pantanal’s flora and fauna on the private reserve of the lodge, including the Blue Hyacinth Macaw reintroduction programme run by the lodge - the biggest and bluest birds in the world. After breakfast, our guide leads us on a 2 to 3 hour horseback ride through a mixed habitat of pastures, woods and wetlands (there is also a jeep game viewing option). We return to the lodge for lunch and a swim, then walk in a different area of the private reserve, allowing us to observe and learn more of the local environment and the abundant wildlife – capybara, coati, marmosets and an impressive array of kingfishers, tiger herons, snowy egrets and roseate spoonbills. After dinner, there is an optional night walk to observe the Southern Hemisphere sky. An early start for the drive north along the Transpantaneira, a last immersion in this unique natural ecosystem before we reach Cuiabá airport and board the internal flight to Iguassu, via Sao Paulo. We stay 2 nights in the luxury (5 star) Hotel das Cataratas, part of the Orient Express (Belmond) collection. This is the only hotel located inside the National Park, just a 2 minute stroll from the Falls, and guests enjoy the privilege of exclusive access to the Falls before the Park opens each day. We have an optional early morning walk out onto a suspended platform high above the most dramatic section of the Falls, seeing rainbows in the mist and spray, and inevitably, getting drenched! After a substantial breakfast, we have a 2 hour guided walk on forest trails where we may well see toucans, coatis and the giant electric blue Morpho butterfly. This evening, we enjoy a memorable dinner in the elegant colonial-era restaurant. After a morning enjoying our hotel pool and gardens or more time beside Iguassu Falls, we catch an internal flight back to Sao Paulo airport. 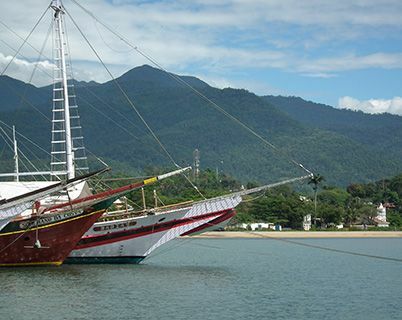 Continuing by road, our goal is Paraty, the safe Atlantic anchorage at the end of the Estrada Real, the Royal Gold Trail, and the 17th century port of embarkation for the gold from Brazil’s interior. Our historic Pousada is ideally placed in the centre of the World Heritage old town and only a few minutes stroll from the sea. 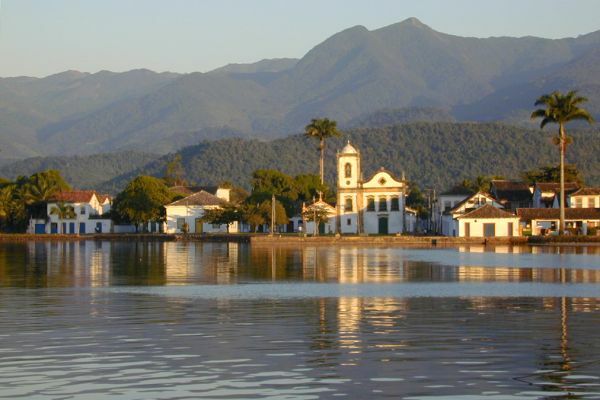 Paraty is one of the most charming 17th century colonial towns in Brazil and we explore it in detail, seeing the defensive fort, the interesting small Museum of Arts and Popular Traditions (carvings, toys, musical instruments) and the elegant Brazilian Baroque churches. The afternoon is free for exploring the many tempting shops and galleries or relaxing by the pool. 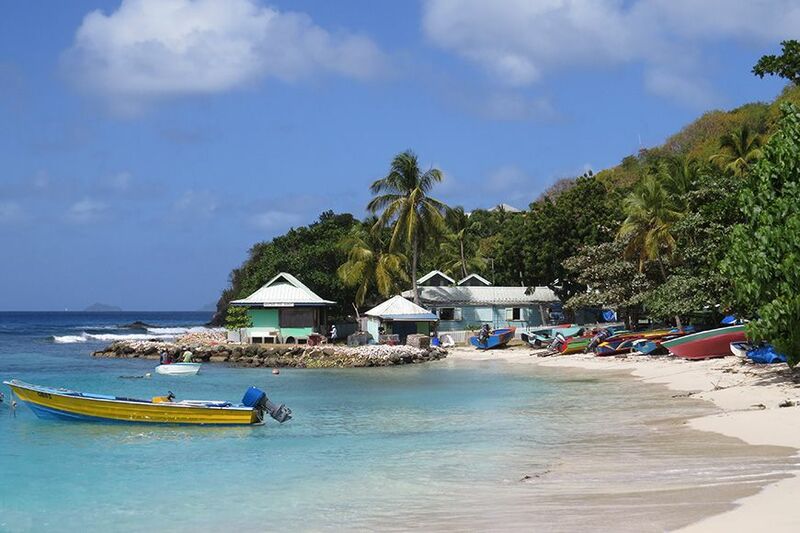 A traditional schooner takes us for a day’s exploration of the unspoilt little islands and beaches in the bay, looking for dolphins, perhaps snorkelling in crystal clear water and enjoying lunch on board. 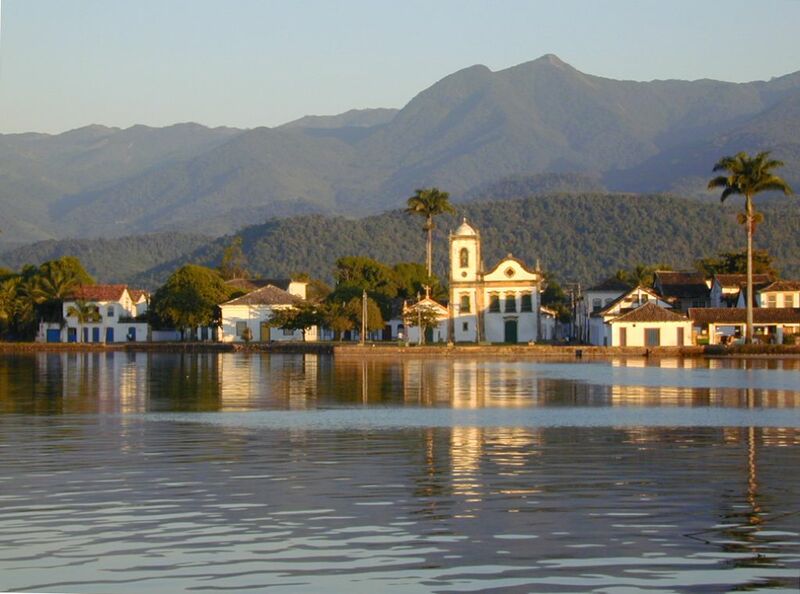 Returning to Paraty late afternoon, the views of the historic town from the sea are unforgettable. Dinner in a renowned local restaurant features fresh seafood, accompanied by select South American wines. We leave Paraty to drive the scenic coast road west back to Sao Paulo airport for early evening flights home. 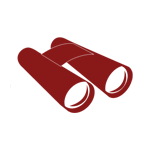 Please note that the double room for single use supplement is imposed by the hotels and lodges and not by Kudu Travel. If you are willing to share but no other suitable guest books on the trip, we regret that the supplement will be payable. Visitors from the UK and most of the EU currently require a valid passport, but not a visa, for entry to Brazil. If you are a national of any other country (including the USA, Canada and Australia), please check visa regulations with your nearest Embassy of Brazil as you are required to obtain a Visa before travelling to Brazil. At present, there are no specific and compulsory health requirements for entry to Brazil. Yellow Fever vaccination is recommended but proof of vaccination (certificate) is not normally required. You should see your doctor in good time (at least 2 months before you travel) for advice on updating your protection against typhoid, polio, tetanus, Hepatitis A and any other immunisations etc that they may recommend. A dental check-up is also a good idea. You may also wish to check the advice given to travellers by the Department of Health and the FCO. Please note that it is standard practice for National Parks to ask guests to sign an insurance waiver on arrival – if you would like to see a sample text, please contact our office. 6 walking days, 1.5 to 4 hours daily. 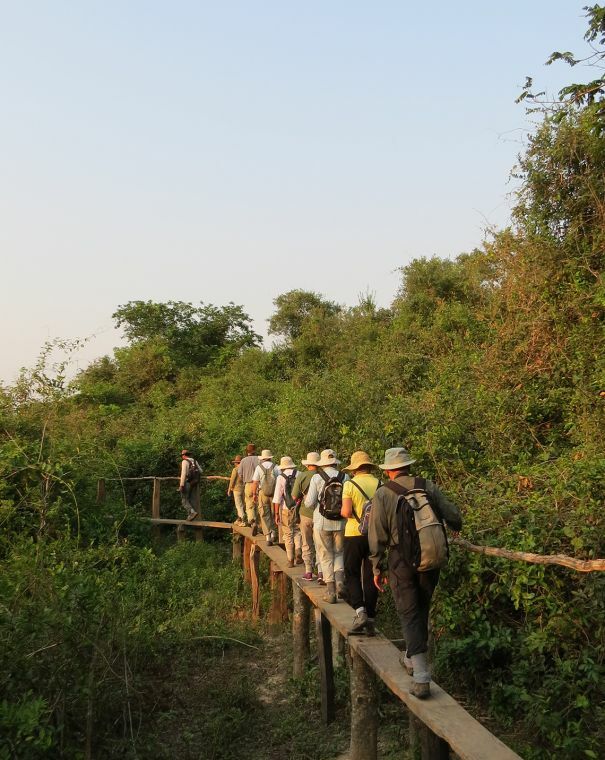 Stony and muddy paths, jungle & forest trails, as well as climbing in and out of 4WDs, boats etc. A reasonable level of fitness/agility is necessary. October is the spring in southern Brazil, with warm days (average highs of 28°C) and cooler evenings on the coast. 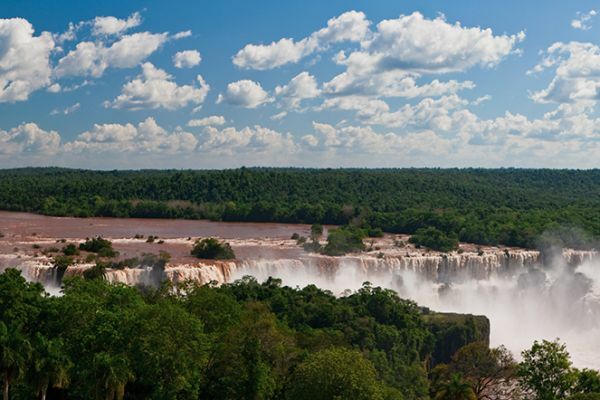 Mountain areas are cooler, it is the dry season in the Pantanal and the Iguassu Falls are warm and humid year round.